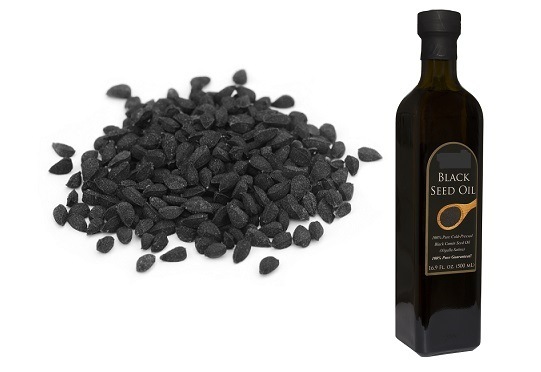 Connecting Healthy Dots: Black Seed Oil- A Cure for Everything But Death! Does Black Seed Oil cure cancer? Let's do some reading about it's potential to keep us healthy, build our immune system, destroy toxins and inflammation in our bodies, and kill cancer cells. There are numerous benefits to using Black Seed Oil. Find out how it can help you by reading the following article posted by John P Thomas of Health Impact News. Link to the original post on Health Impact News' website is located at the bottom of the page. Researchers from Wayne State University in Michigan found that their review of published reports about black seeds indicate that further in-depth studies are warranted. They specifically point to the need to study its bioavailability and Phase-I toxicity profiling in human subjects. The results from such studies will be instrumental in advancing this field in support of initiating clinical trials for testing the effects of this ancient agent in cancer therapy. Hello I’m leonald Huck, I want to say a very special thanks to Dr.Aknimo for helping me get cured from Cancer disease , I was almost in a state of death last month that i could not even do anything on my own without the help of someone. On a very faithful evening i was trying to check the internet for the recent news in the society when i came across a man giving his testimonies of what Dr Aknimo has done for him and his household, so i quickly collected his mail and decided to give it a trial. I contacted him and told him of my dying state and my predicament and he sent me some medicines through D H L and instructed me on how to take them, which i did, and behold after two weeks i noticed some slight change in my body and i went to the hospital and discovered that i was cured completely now today am a living testimony. Then i said to myself that i am still going to share my own testimony so that for those who have lost all hope, kindly contact him today through his email he can help you, draknimosolutiontemple@gmail.com Or you call him on his mobile number +2349080606667. He’s waiting to help you.